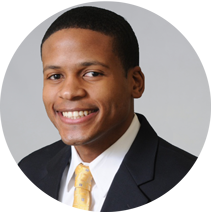 Brandon Lindsay, CPA, received his bachelor’s degree in business in 2008 from Indiana University’s Kelley School of Business. Mr. Lindsay started his career in public accounting with Deloitte & Touché where he provided tax consulting services for high net worth individuals and closely held family businesses. In 2012, Mr. Lindsay joined Calumet GP, LLC where he currently serves as a Divisional Controller in the specialty products division. As a result of these professional experiences, Brandon brings over eight years of accounting and project management expertise to the Allegiant Prep Board of Directors.